The Portuguese brought from Africa a small red pepper called bird’s-eye chilli that they use to make a popular hot sauce. In Portuguese both the pepper and the sauce are called piri piri (pronounced peeree peeree). After years of undercover work, we gathered some piri-piri intelligence to share with you. The base of the sauce is usually vegetable oil, although a few restaurants use olive oil. Often, the piri-piri peppers are simply combined with the oil and left alone for a few days. 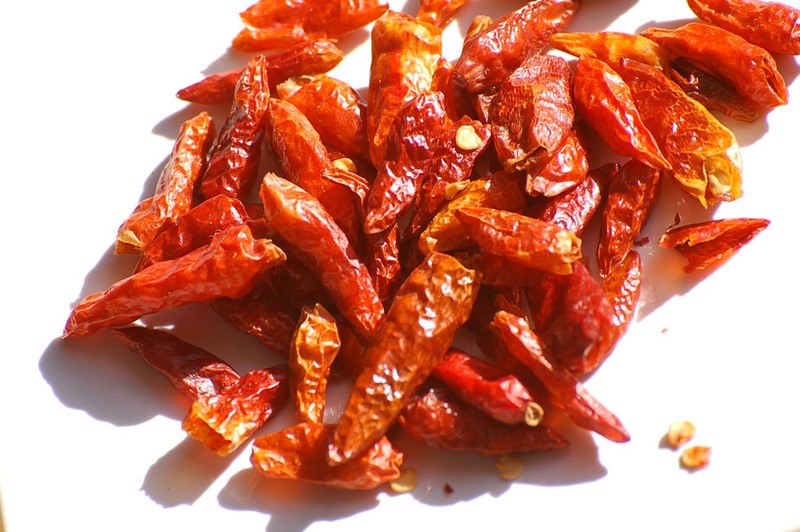 In some cases, the oil is warmed to absorb more quickly the taste of the piri-piri pepper. Some recipes use vinegar, whisky, cognac, salt, parsley, coriander, cilantro, or garlic. No matter which version you try, piri piri will spice up your life. It is difficult to describe how sublime pieri pier is. Some moderation is called for but I never quite manage. It’s true. It will spice up your life! We make it at home. Extra virgin olive oil, whisky and a heap of birds-eye chillies. Shake them up in a big jar and leave for six months. Now you have a ‘mother’. As the quantity goes down, simply add more oil and whisky. The peppers can be replaced every now and again. Quite unlike any ‘piri-piri’ you’d buy in a shop. Amazing.